I was extremely honored to review this amazing Sweetie Bracelet from Little Pinkies .... 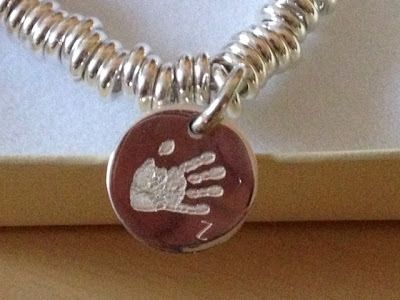 I could have never imagined that I could have my boys handprints engraved on a bracelet along with there initials I'm so glad and delighted that I have found Little Pinkies ...... I only wish I had found them sooner. 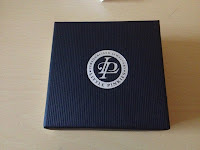 We were sent two Inkless Handprint Kits....which consisted of a small Inkless wipe and a special sheet of paper.... It very easy to use and actually great fun....We did at least two handprints on the sheet of paper and left it to the experts at Little Pinkies to choose the best one....and within 10 days this amazing package came through my door. 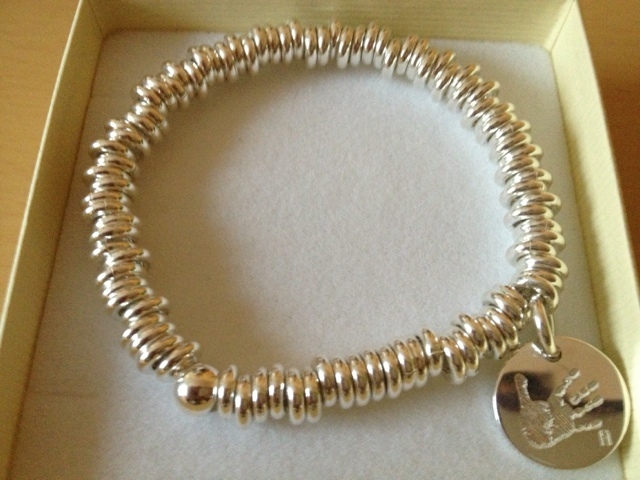 I was so excited and couldn't wait to open the box and I was overjoyed and this amazing Sweetie Bracelet ....As a jewellery lover who has loads of bracelets this one has to be my all time favourite and I haven't taken it off since.....it's made of sterling silver and it just perfect ...Most importantly is specially personalised for me with my beautiful boys handprints each side of the silver disk... which makes it so much more special. Thank you so much Little Pinkies I'm ever so impressed with the craftsmanship and will adore this bracelet for years to come. I was offered a necklace to review but the kind people at Little Pinkies let me choose a bracelet and pay the additional cost....All information is honest and I share my personal views and opinions.